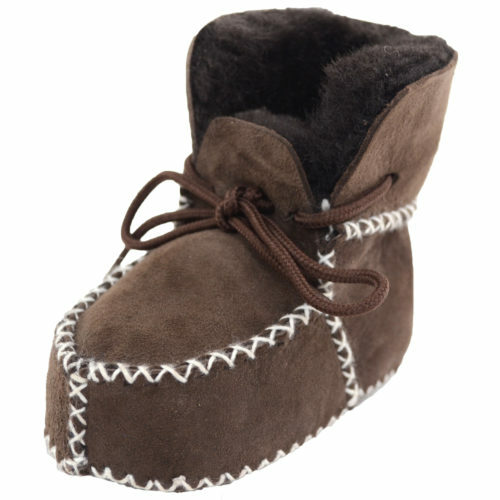 Developing little feet need to be cushioned and comforted. 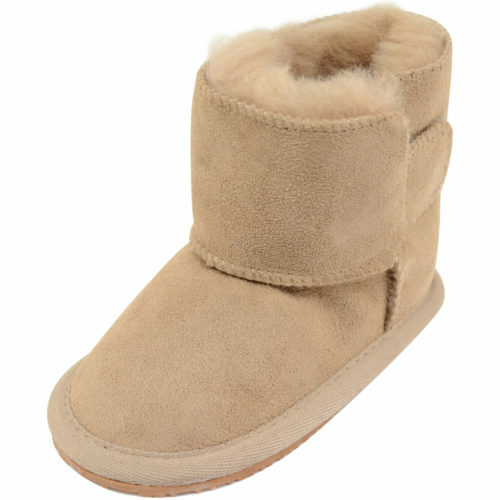 Sheepskin boots are perfect for stomping about in the cold. 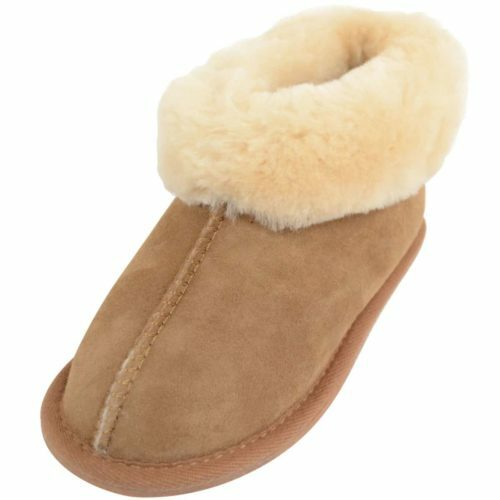 The thick sheepskin inner warms and nurtures the foot, keeping it snug. 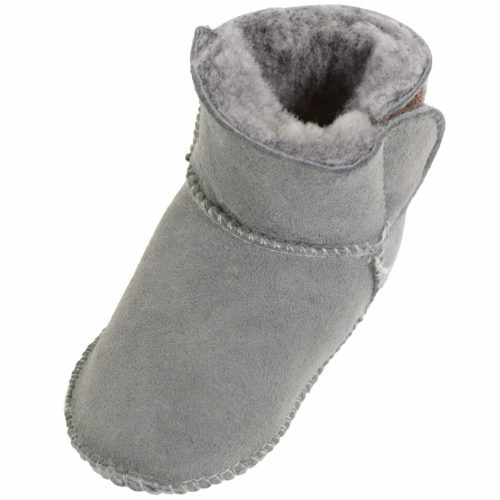 Our sheepskin baby booties are great for babies and crawling toddlers. 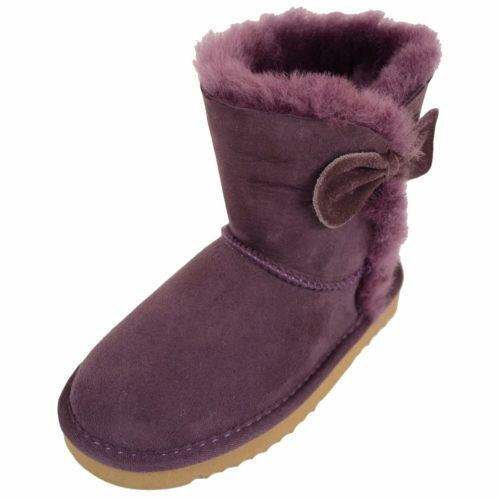 Dress up tiny toes in style with our fabulous collection of children’s footwear – featuring lots of lovely designs perfect for all weathers and occasions. 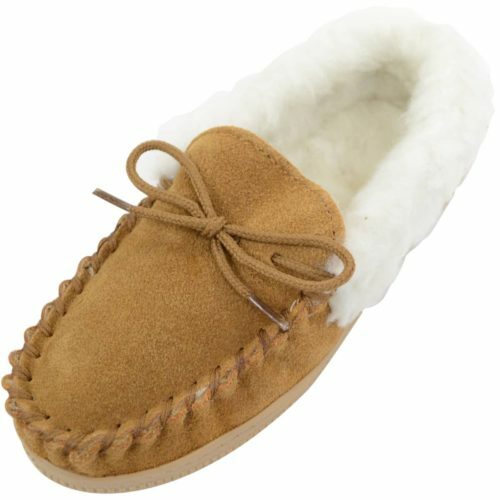 Sheepskin and suede are ideal natural materials for little ones – as they’re breathable, durable and easy to clean. 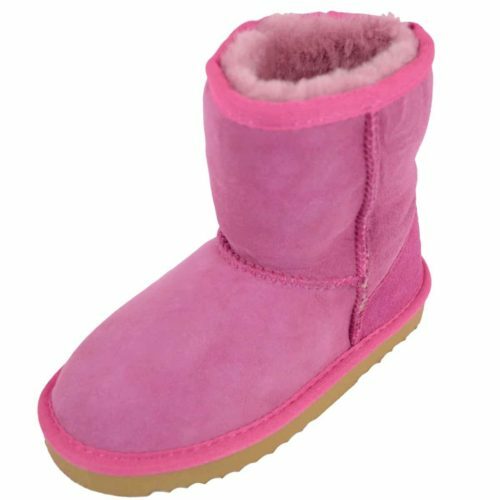 We select only the finest high-grades for our collections – so you can be sure that your children’s shoes will stand the test of time. 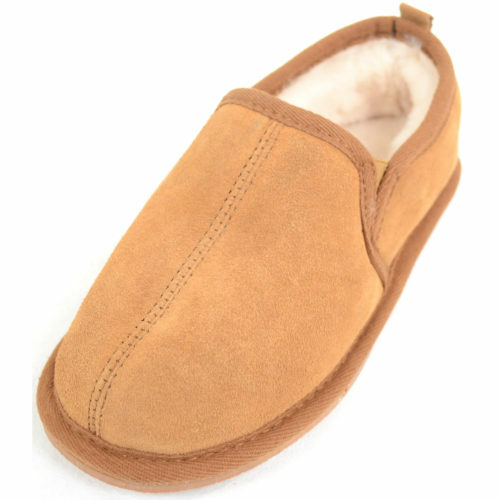 Sheepskin babies & children’s footwear is both practical and fashionable – a firm favourite with big and small kids alike. 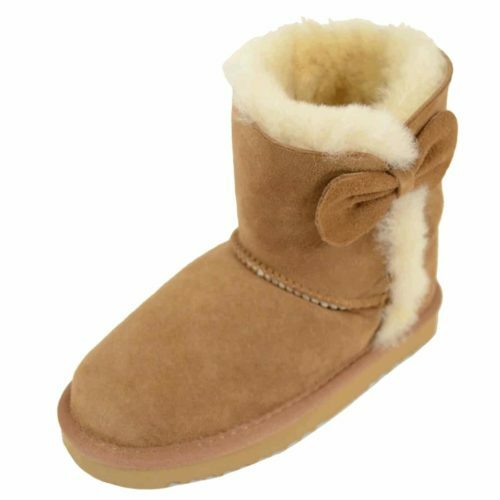 Our beautiful boots and moccasins feature super-soft suede with a thick, fleecy sheepskin inner to warm and protect little feet to provide supportive comfort. 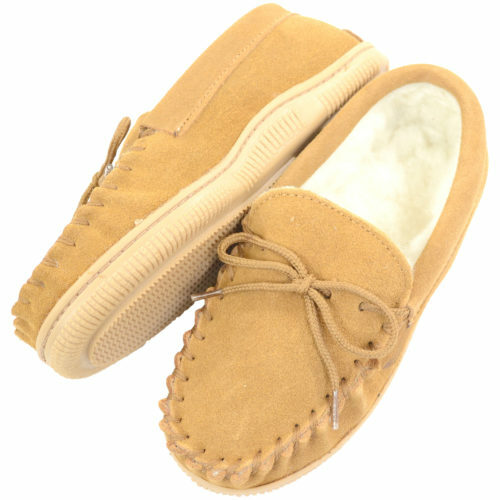 Wool-lined moccasins, pretty little boots with bow detail – the choice is yours. 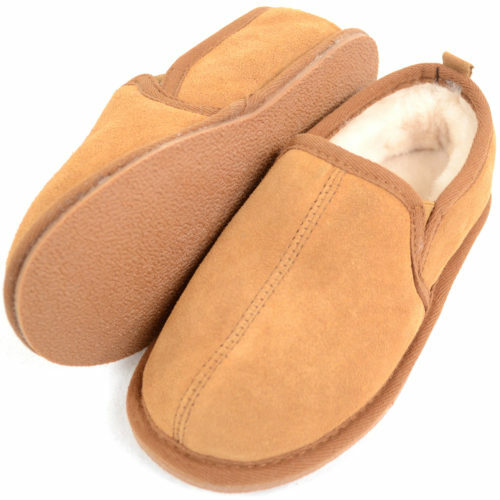 When it comes to children’s footwear comfort, support and adequate room for manoeuvre are essential. 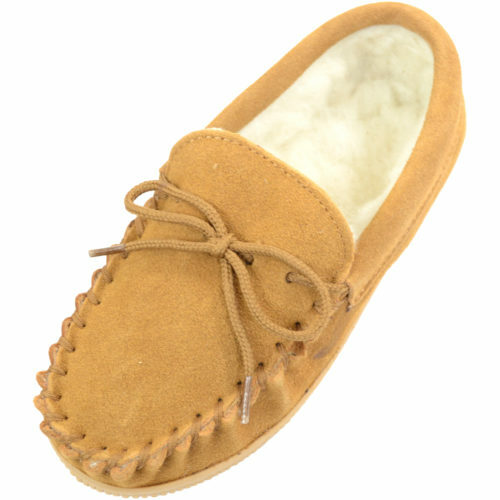 Sheepskin is a unique natural material – possessing special qualities that simply can’t be matched by man-made fibres. Wool actively absorbs sweat and breathes with the skin to keep bacteria and mites at bay – perfect for children with allergies or those prone to fungal infections – perfect for active kids who are always on the go! 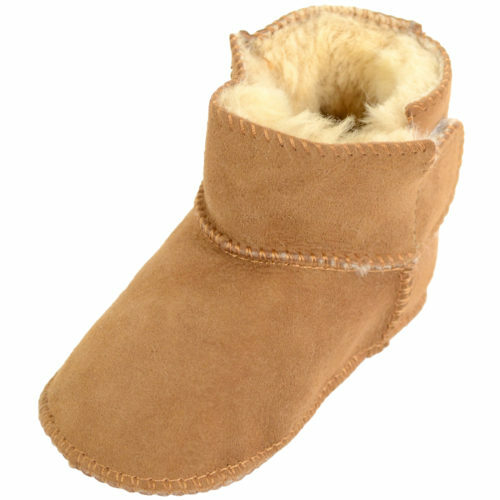 We also stock a selection of cute sheepskin baby boots and beautiful booties – for natural, toasty warmth out and about. 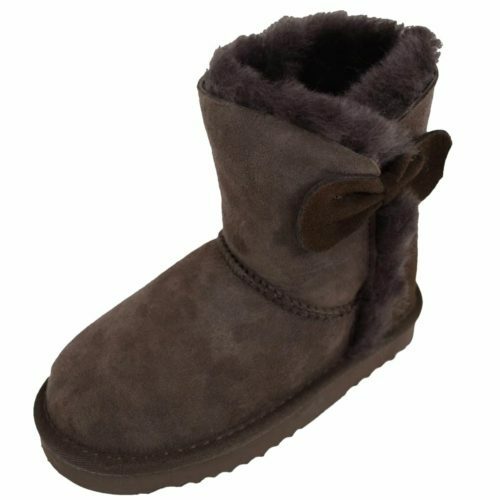 Colours include chestnut, chocolate, camel, grey, tan and pink. 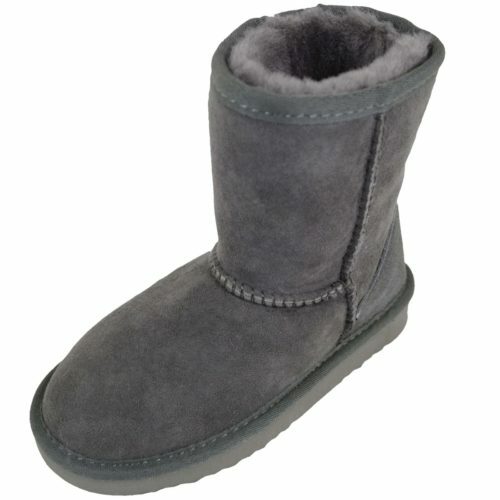 Suitable for both boys and girls – many styles are unisex. 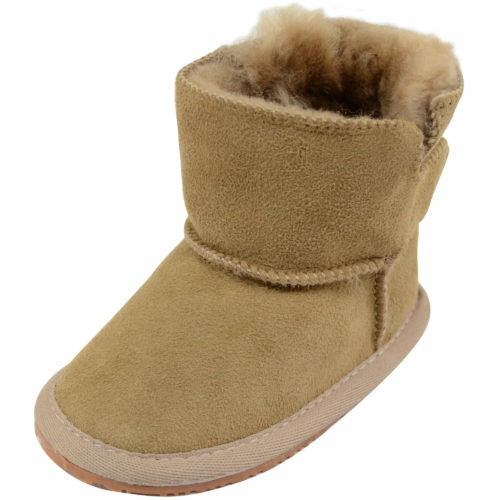 Sheepskin is unique and that’s why only the best will do for little boys & girls. 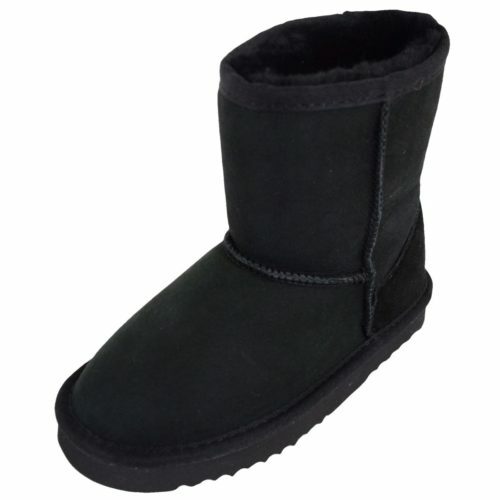 It possesses special qualities which no manmade material comes close to matching. 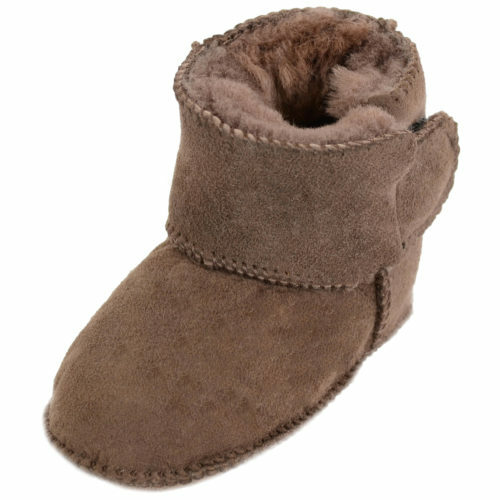 Wool absorbs sweat helping to keep your booties as bacteria free as possible. 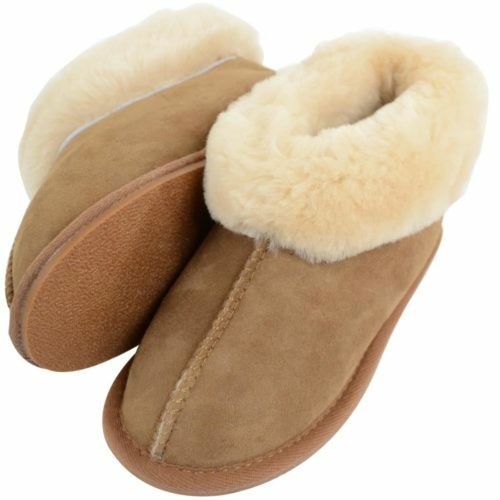 Sheepskin cools the foot when it is warm and warms it when it is cold. Amazing isn’t it? 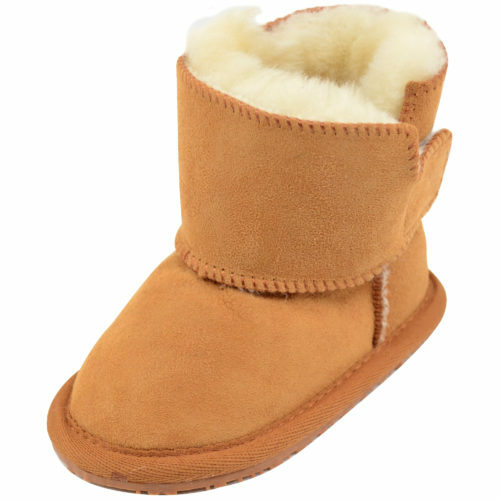 Wool generates little static electricity and is naturally fire resistant. Wool keeps it shapes much longer than other materials. 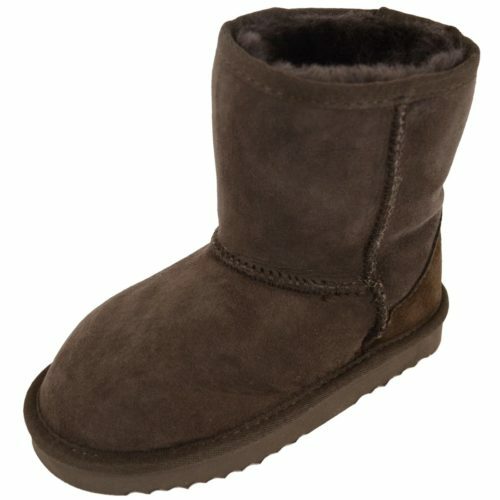 Its coil-like structure allows the wool to bounce back into shape, not get suppressed and flat. Wool is resistant to bacteria. Bacteria and dust mite like damp conditions and as wool absorbs moisture the conditions are not favourable for bacterial growth. These allergens are often responsible for triggering asthma. 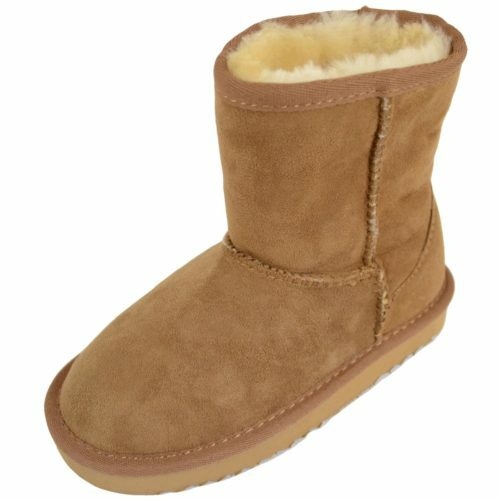 Sheepskin is a natural, renewable resource. A sheep has its fleece shorn once a year. Wool is 100% biodegradable, making it an environmentally friendly choice.